Ex-Chelsea star hails Antonio Conte and believes the players are fitter than ever. Ex-Chelsea Goalkeeper Mark Schwarzer believes that Antonio Conte's side are fitter now than they have ever been as demonstrated in our last two games. Plenty has been said of Antonio Conte's coaching methods and the physical demands he puts onto the players throughout pre-season and beyond. It was clear after last season that something had to chance this time around and the difference is unreal. Step back in time to the summer of 2015 and Jose Mourinho's Chelsea side had just won the Premier League and League Cup double but, most importantly of all, their performance levels had dropped towards the end of the season after making a blistering start. A decision was taken a result to delay pre-season by a couple of weeks as Jose did not want a repeat of what happened. We all know how that played out for us. As everyone looked for answers as to what happened last term, Antonio Conte has openly admitted that he came here looking for answers, to understand what happened but also to ensure that his players were fit and ready for when the season started. So to Mark Schwarzer who was a member of the Chelsea squad that won the double with Jose Mourinho two seasons ago. Having left the club shortly afterwards to sign for the eventual champions Leicester last season, he has had his take on what a difference Antonio Conte has made since he walked through the door at the training ground in Cobham. "Conte has come in there, put his arm round people. There is unity, they want to play together. They're fitter than they've ever been. You saw it against Manchester City. It's a testament to how they're working and how determined they are to being successful." - Source: Daily Star. You have to agree and say that he is spot on, especially if you look at our last two games against Tottenham followed by Manchester City. 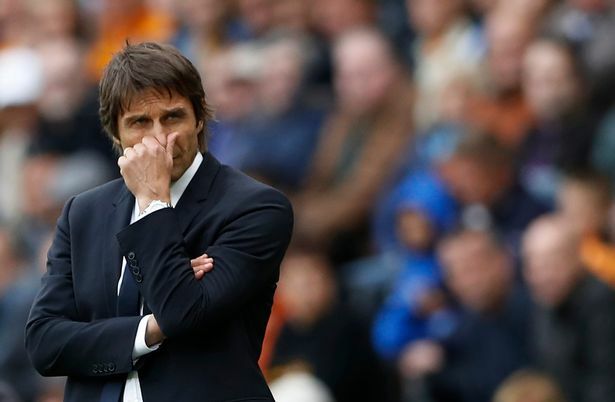 On both occasions, Chelsea found themselves a goal down and outplayed for the first half. However, again on both occasions, Chelsea seemed to step up a level, upped the gears and rolled past Tottenham and Manchester City to win the second half and the games comfortably. It was more than notable that Chelsea seemed to have so much more energy, were fitter and stronger than the opposition. Chelsea face a massive month in the Premier League against the so-called "lesser opponents" but I beg to differ. Every game is hard and you have to earn any point you get especially with the games being as close to one another as they are. The fitness of all Premier League players will be tested to the maximum in December and it will be interesting to see how Chelsea cope compared to the others up and down the country. One thing is for sure here, the Manager demands the maximum from his players in every game and for the time being and for the last eight games that has been above and beyond every side we have come up against. Long may it continue!